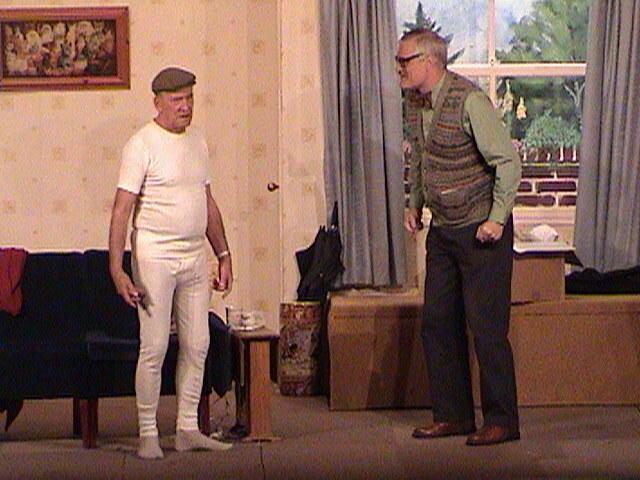 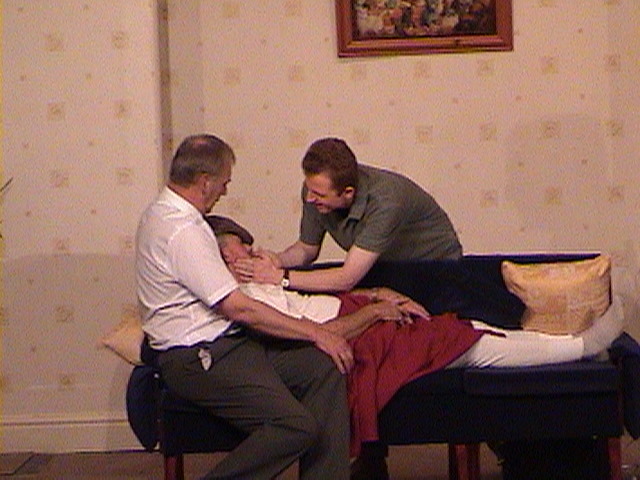 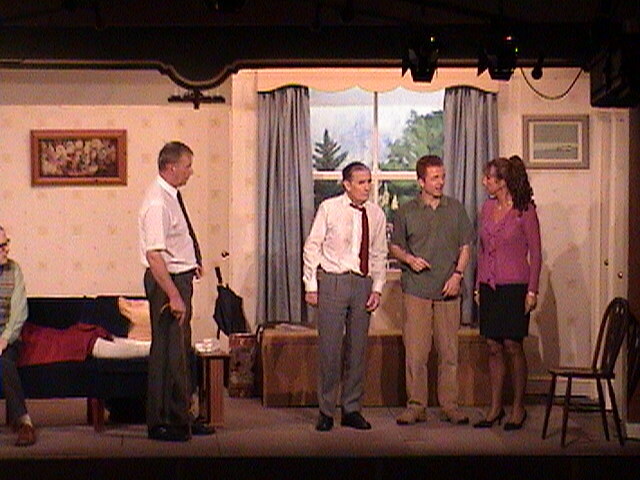 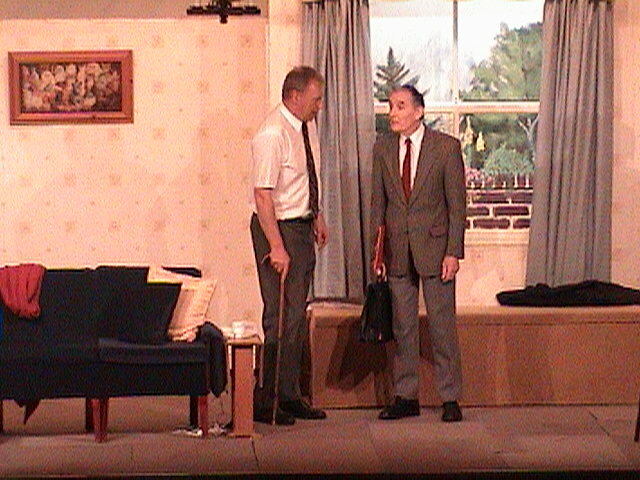 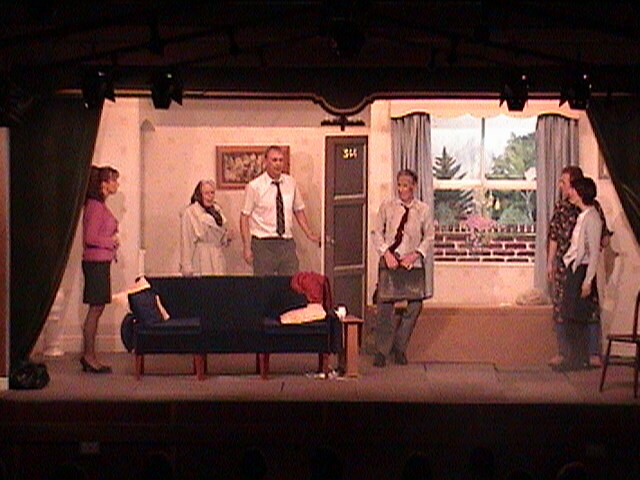 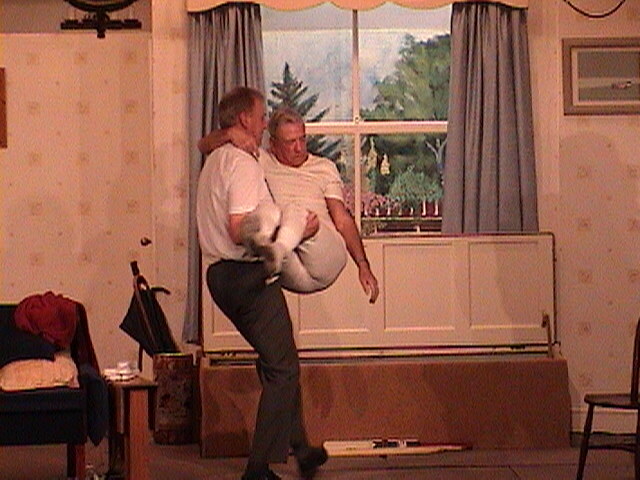 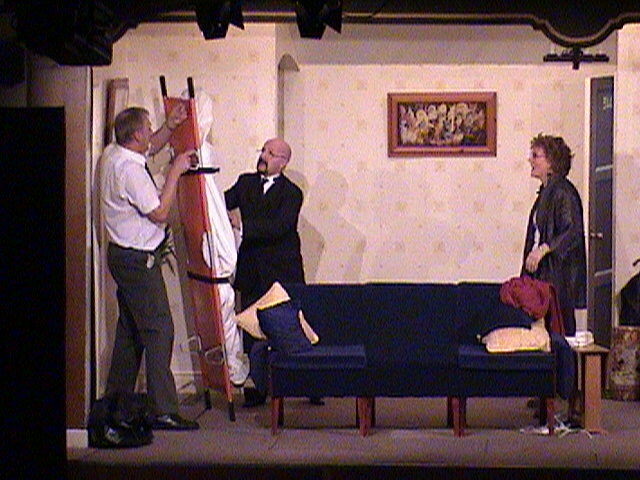 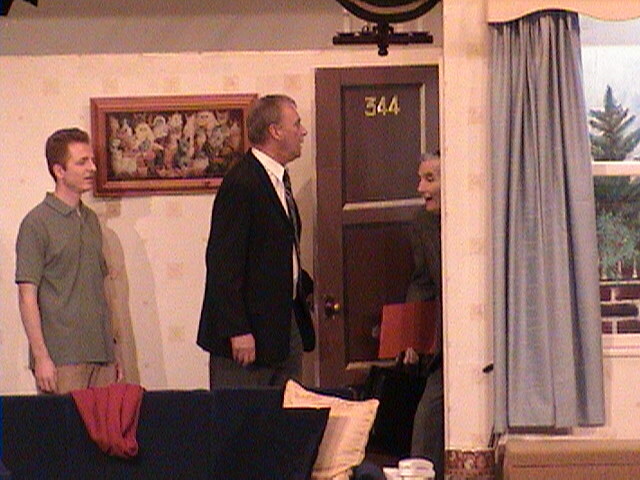 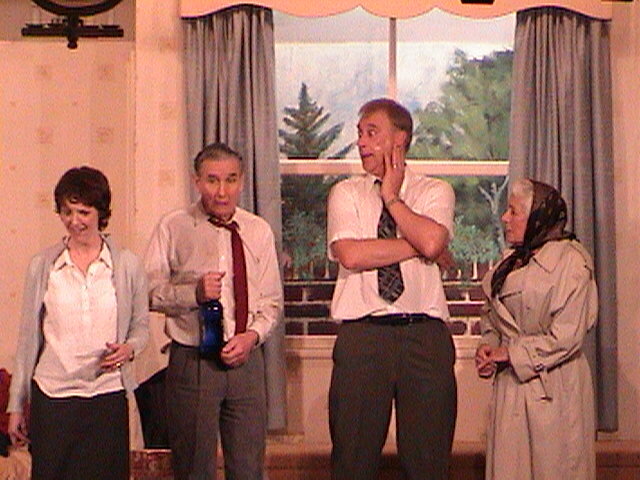 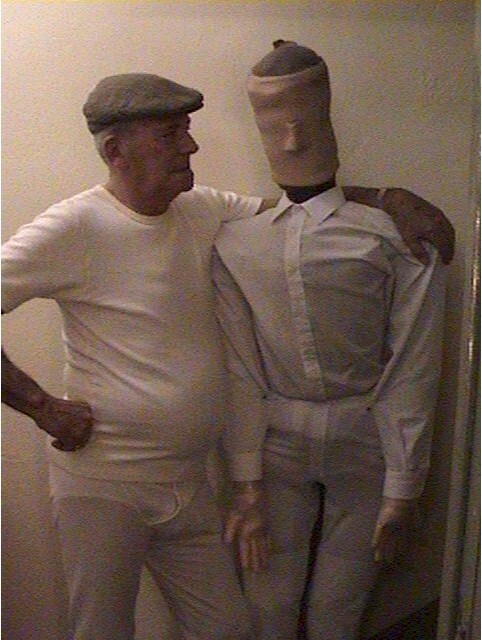 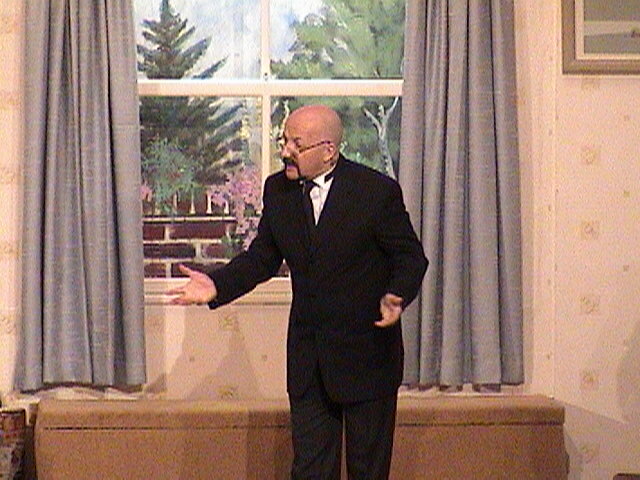 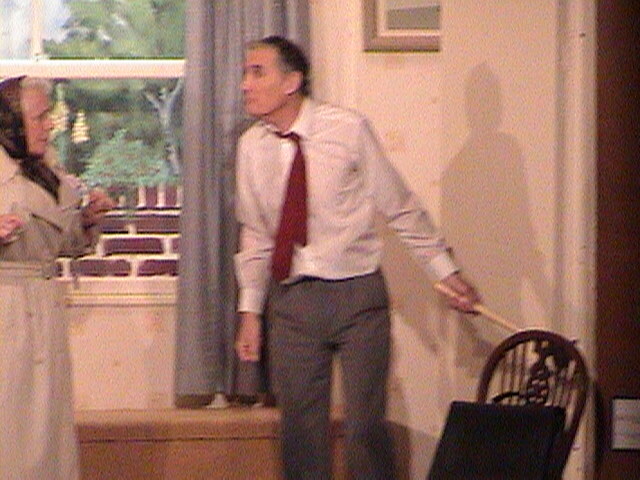 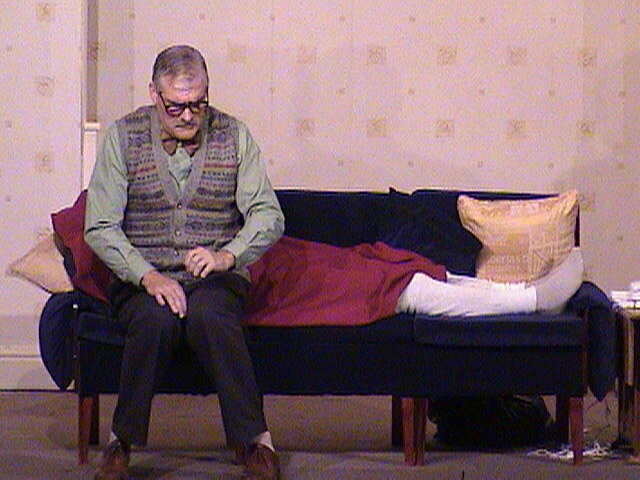 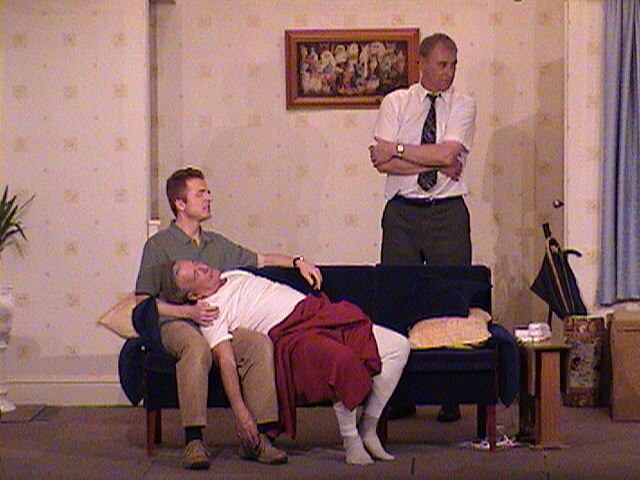 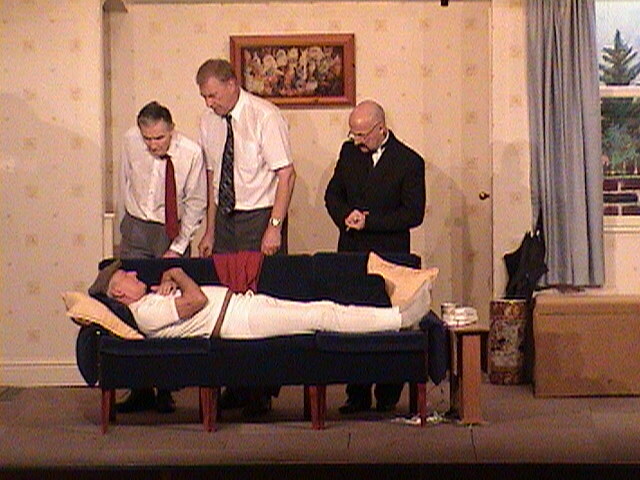 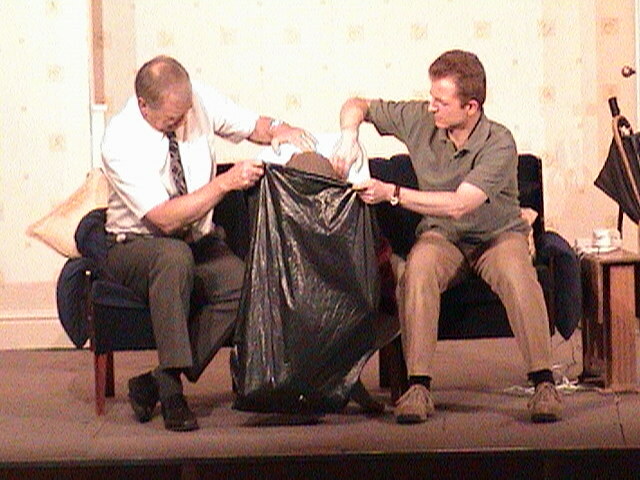 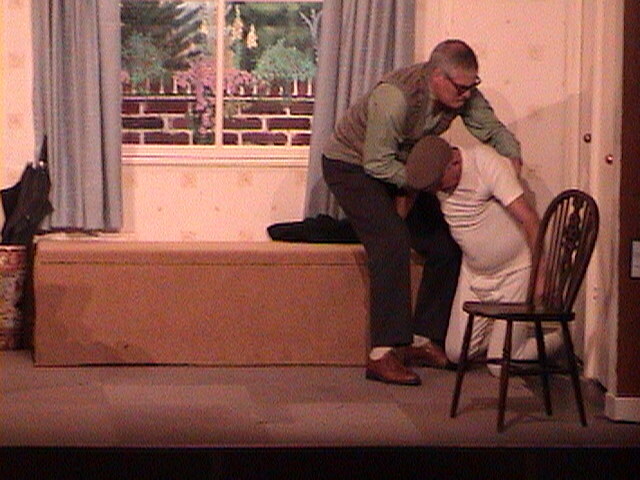 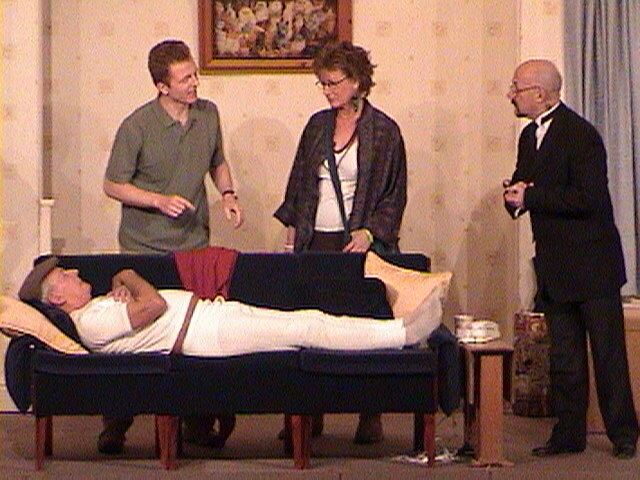 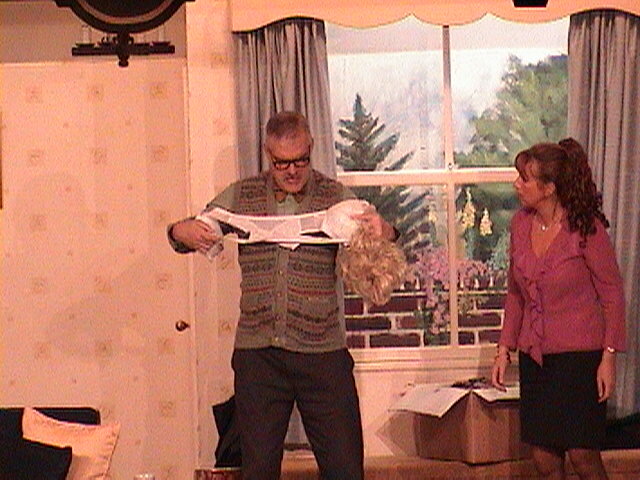 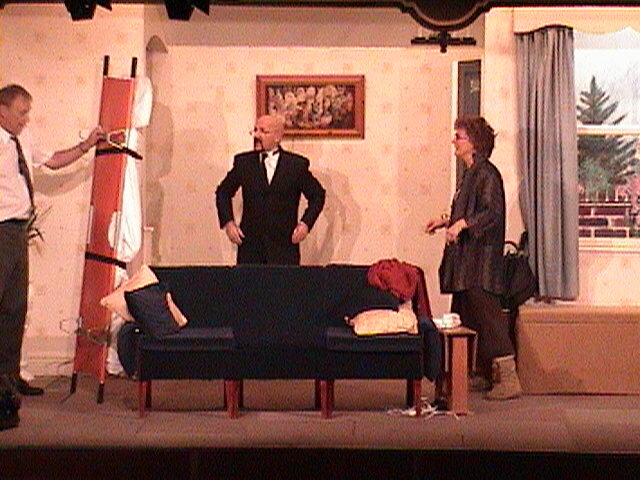 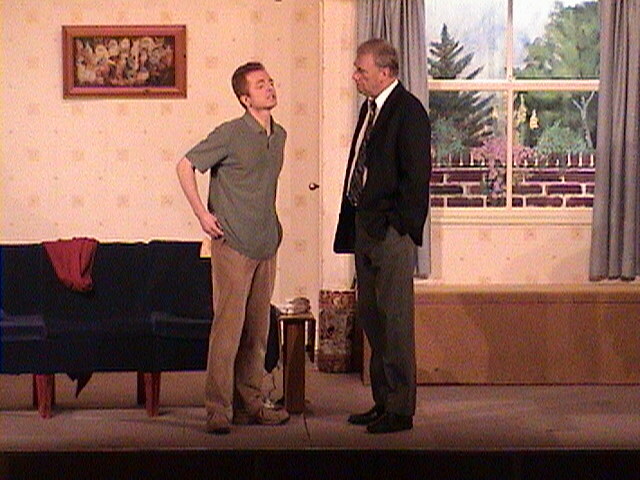 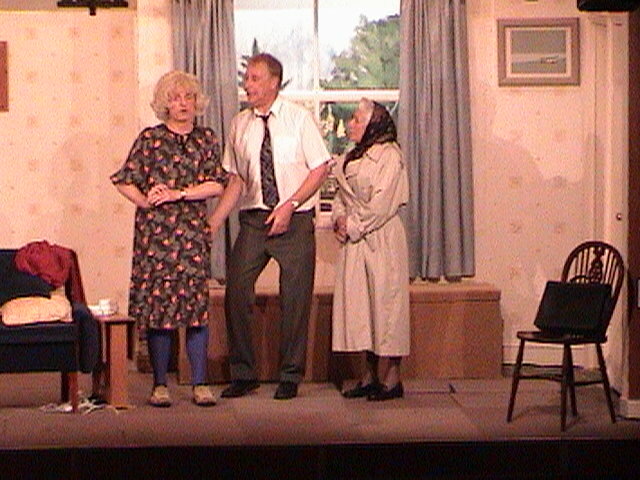 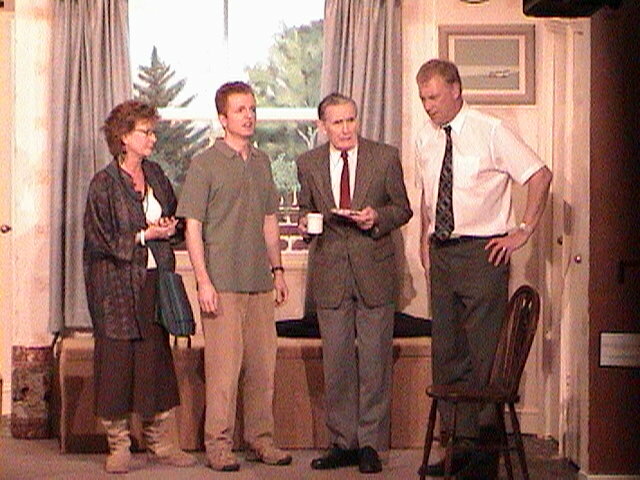 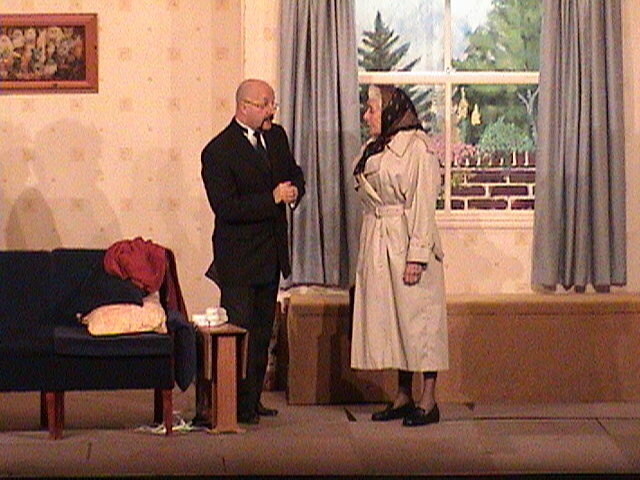 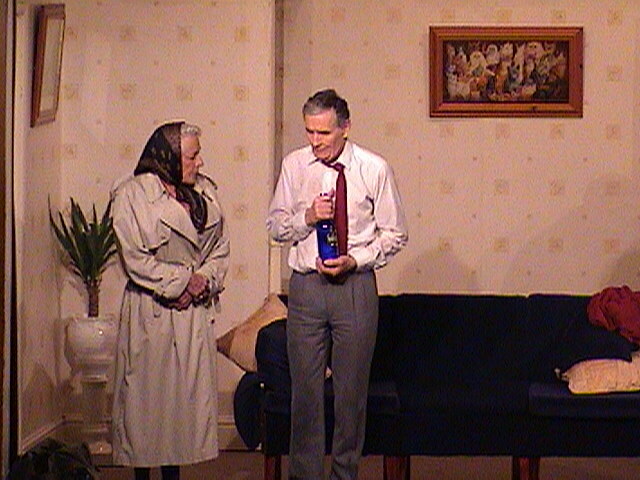 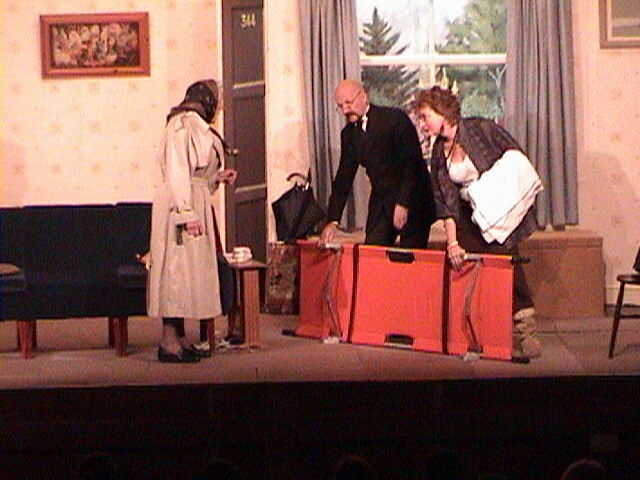 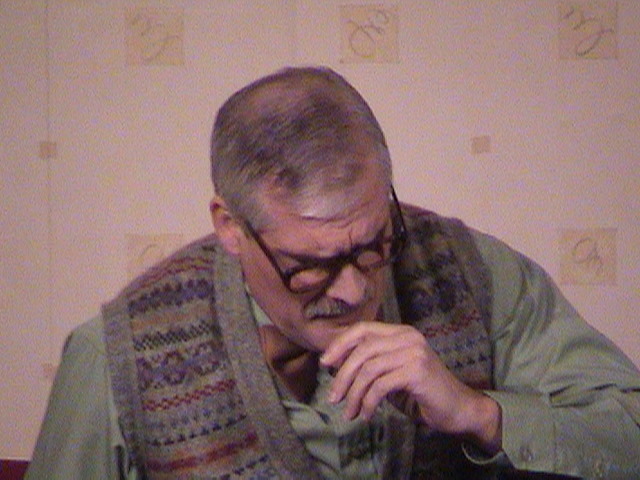 This hilarious farce, written by Michael Cooney (son of Ray Cooney, star of many well known comedies) featured, amongst others: a benefit fraudster, an alcoholic inspector, a confused undertaker, a very confused lodger, a comatose hospital porter, a bewildered counselor and a washing machine with a mind of its own! 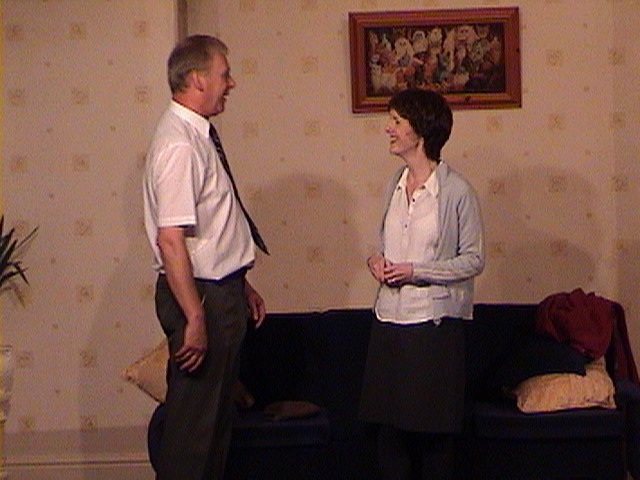 There were mistaken identities, accidents of coincidence, words with double meanings and 'near misses' in timing, which all led to a simple event descending into a nightmare of lie upon lie until it was hard to tell what was true and what was not. 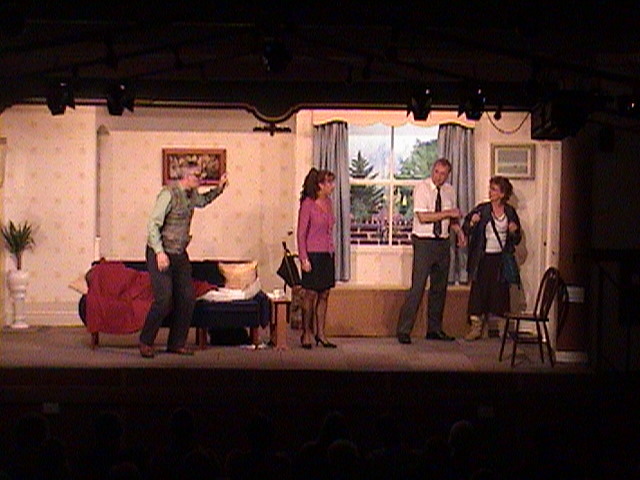 This play provided a hilarious evening of entertainment with laugh following laugh as the characters tried to extract themselves out of the chaos they had put themselves into. 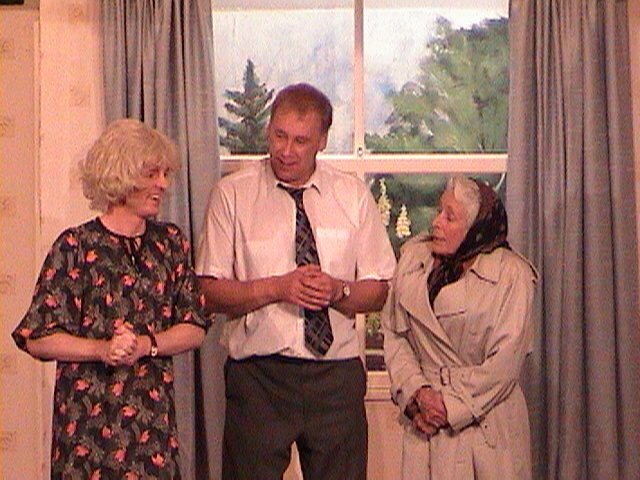 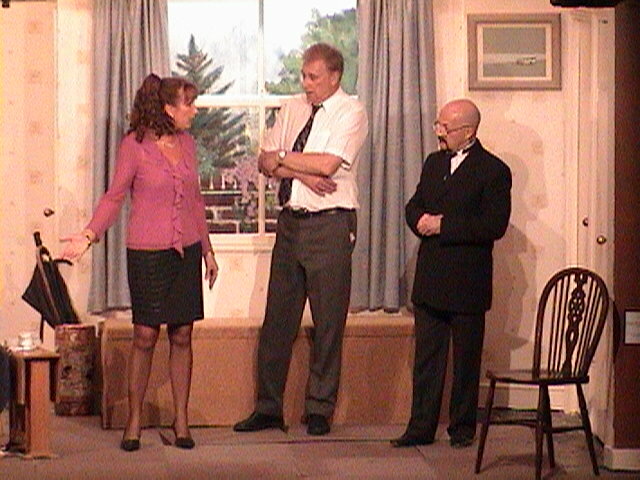 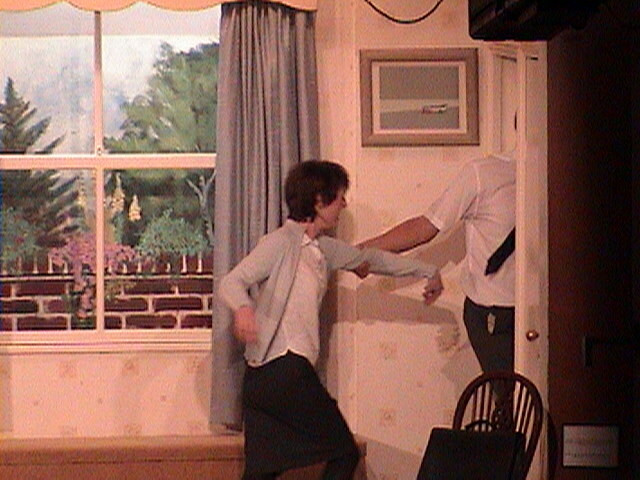 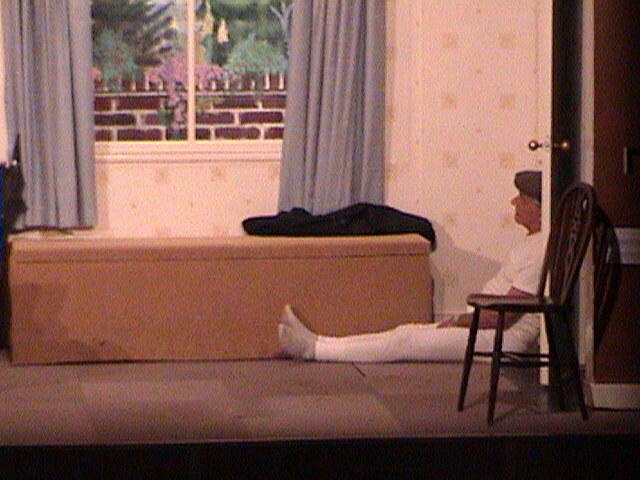 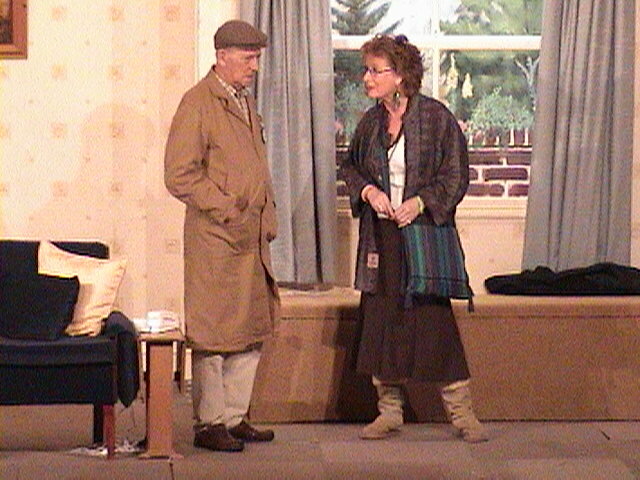 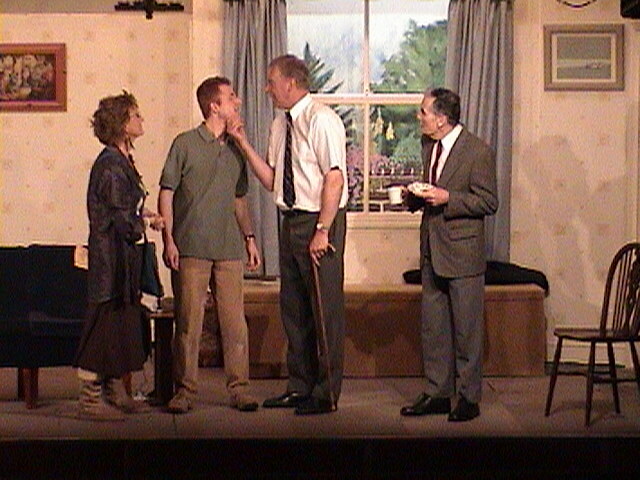 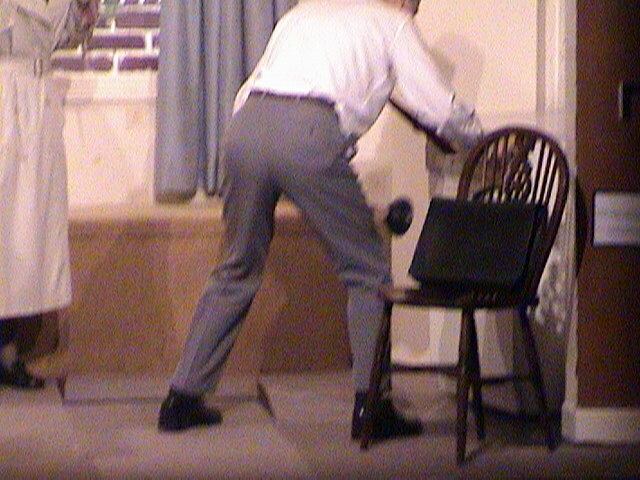 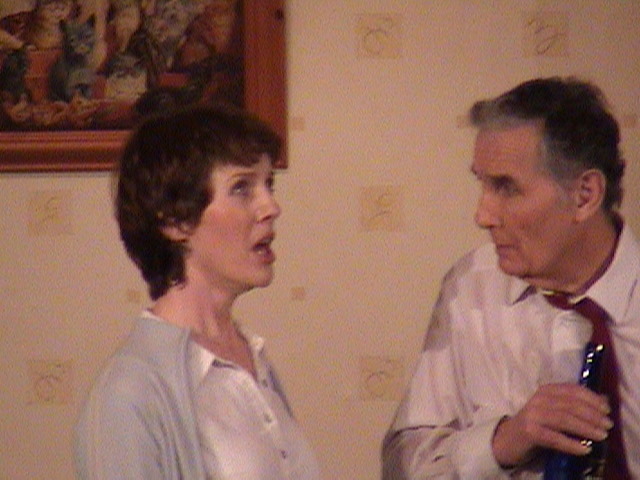 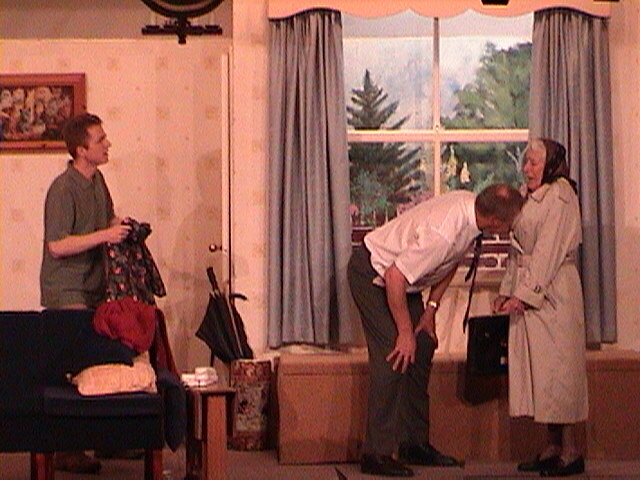 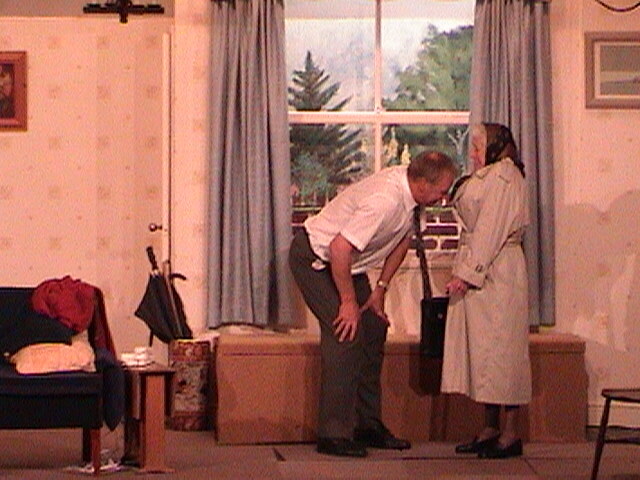 Alison Cunnell, who has been a long standing and very valuable member of the Drayton Players since 1991 made her debut as producer for this production. 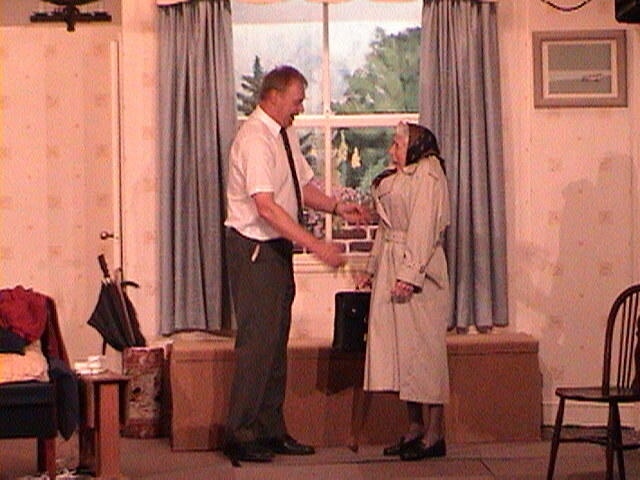 Well done Alison - Full marks on a splendid production!